To be a family friendly website offering positive Disney and geek information, news, and activities by celebrating a mutual love of Disney and geekdom. POSITIVITY – Coverage will be positive and fair. Critical thinking and critical coverage is acceptable. Put-downs or attacks of any kind are not acceptable. If it isn’t nice, it shouldn’t be said or published. MAGIC – All actions should both promote Disney magic and also maintain the integrity of the Disney magic. RESPECT – All people should be treated with respect. This includes respecting people’s dignity along with their privacy. This also applies to celebrities. FAMILY FRIENDLY – All coverage and/or publications of any kind should be family friendly. QUALITY – Coverage should be current, accurate, and meet journalistic standards. INTEGRITY – DAPS MAGIC will strive to maintain the highest level of integrity in the way it runs every aspect of its website. This includes both honesty in any publication and also ethical and honest behavior by DAPS MAGIC staff. 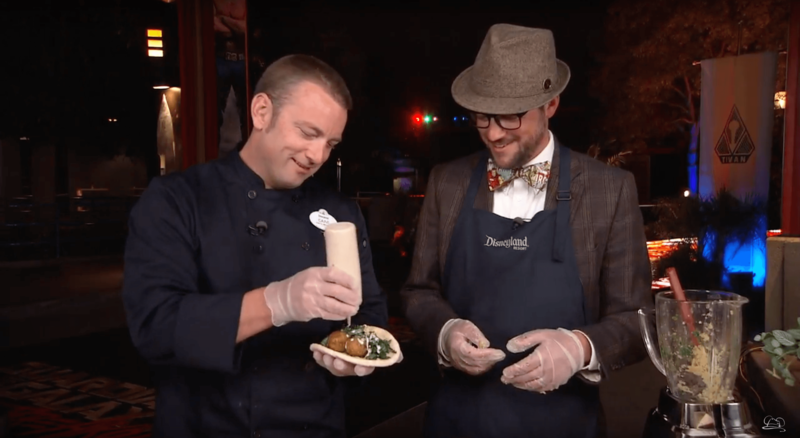 Mr. DAPs Learns to Make Falafels at Summer of Heroes at Disneyland Resort Media Event. Through the years, DAPS MAGIC has covered many events both in the Disney realm and the geek realm. We have covered special events for the Walt Disney Company including media events at the Disneyland Resort, The Walt Disney Studios, D23 events (including D23 Expo), Phoenix Comic Con, Leaky Con, Wizard World Chicago Comic Con, Fellowship: The Musical Parody of The Fellowship of the Rings, and several other events. DAPS MAGIC also reviews movies, Blu-Rays/DVDs, video games, books, and other merchandise. Product reviews require nonrefundable samples. Consideration for all reviews will be based on if it fits in with the mission and core values of DAPS MAGIC. To be considered for a review, please contact dapsmagic@gmail.com. DAPS MAGIC is always looking for more contributors to join our team. We are looking for people with a positive outlook on life who fit in with the culture we have created through the years with our team. We have openings for reporters, journalists, bloggers, photographers, and more. We meet in the Disney Theme Parks regularly and consider this a SANCTUARY where people can enjoy sharing ideas, stories, news, trivia, tips, and tricks about the Disney Parks or Company. There are lots of ways to enjoy DAPS MAGIC. 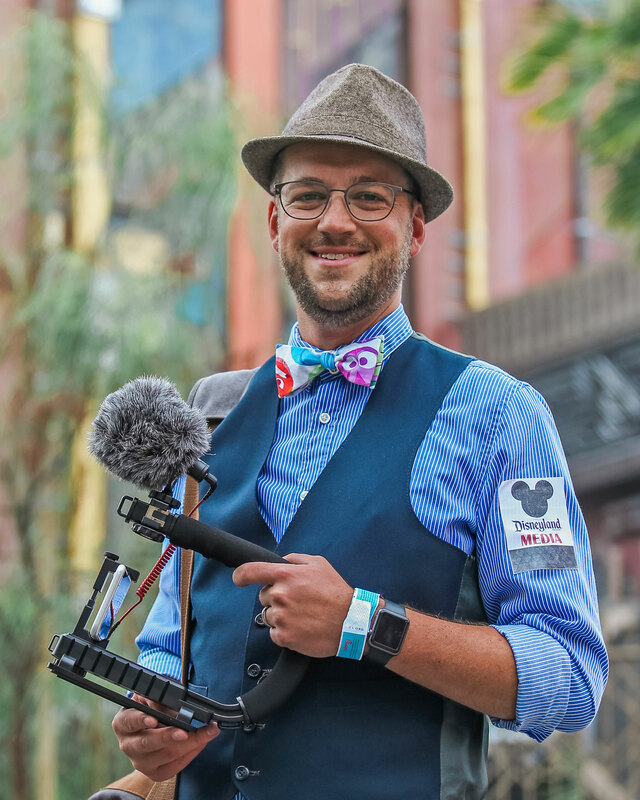 Members can experience the joys of seeing sights in the Disney Theme Parks, learn tips on how to optimize Disney trips to catch the most of favorite Disney attractions, thank amazing Disney Cast Members, or play the find our team members on social media! Check out GEEKS CORNER regularly. GEEKS CORNER is a web show that streams live every Tuesday night at 9:30 PST. This show can be about anything geeky that we come up with. It could be about Disney related topics but definitely is not confined to just Disney. So check back and see as we write about Disney movies, Star Wars, Star Trek, comic books, conventions, events, and whatever else suits our fancy. DAPS MAGIC is for anyone who is a Disney Annual Passholder, Disney fan, or just a geek who wants to have fun geeking out with other geeks. We don’t discriminate! We just ask that you be of positive mind and want to contribute to the positive environment we have created here! GEEKS CORNER is a webshow streamed in front of a live audience every Tuesday night at 9:30 PST. The show covers Disney news, geek news, and also gives context on commentary on what is going on. It is a show by Disney geeks, for Disney geeks! The DAPS MAGIC Guides section is your comprehensive resource for information on the Disney Theme Parks and DAPS MAGIC. It includes an in depth look at the Disneyland Resort with information about every attraction accompanied with trivia and tips. DAPs Lore is the largest collection of myths, legends, and mysteries about the Disney Theme Parks, Disney Films, Disney Personalities, and the Walt Disney Company. This is also where information about DAPS MAGIC can be found with our welcome, guidelines, and our individual staff pages. The DAPS MAGIC News page is your source for daily Disney news. It includes articles written by DAPs Magic journalists looking at all aspects of the Walt Disney Company and Disney Theme Parks along with DVD and Soundtrack Reviews for Disney DVD’s, soundtracks, and others! The DAPs Magic Disney News page also includes articles focusing on corporate Disney, Disney entertainment (Disney movies, shows, celebrities, and more!) Disneyland, Walt Disney World, Disneyland Paris, Tokyo Disney, Hong Kong Disney, and miscellaneous news from around the world of Disney. DAPS MAGIC’s Shop page is where you can find and purchase DAPS MAGIC merchandise. There is merchandise that includes shirts, sweatshirts, mugs, and more for both DAPS MAGIC and also GEEKS CORNER.